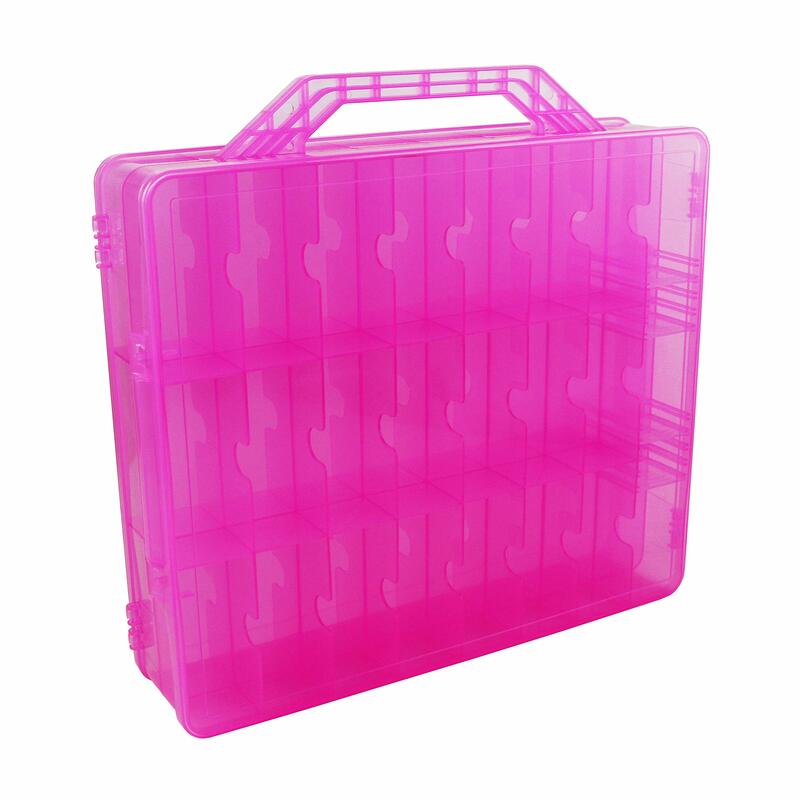 42 of these compartments are stationary and set, but the other 6 are adjustable. However, the ones that are stationary, are a great size so most little collectables fit well. 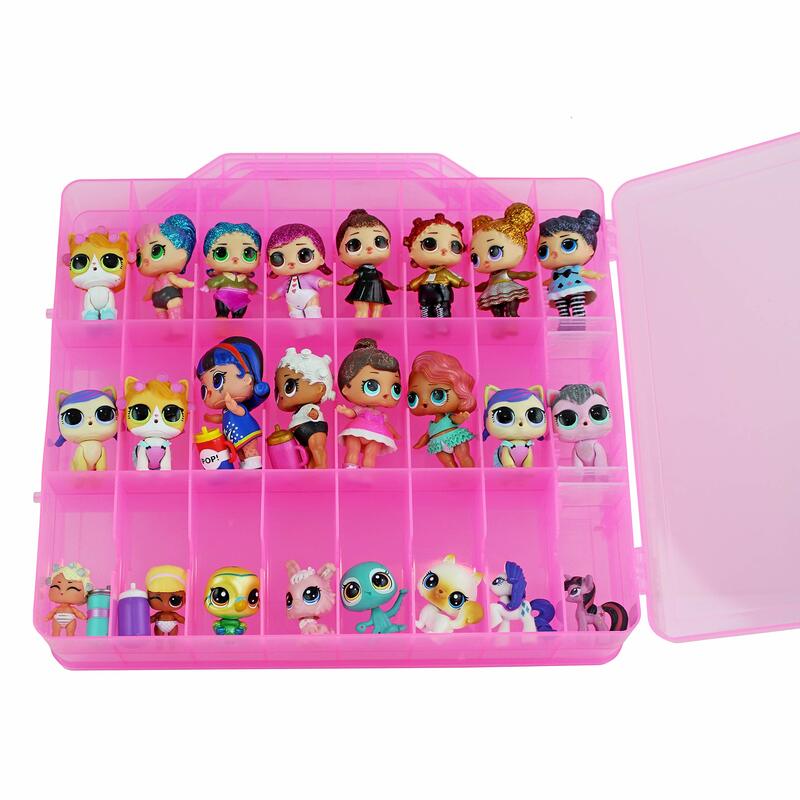 We use our for shopkins and the million little parts that come with them. There are two sides so you have lots of spaces and can just open on side at a time, or store two completely different types of toys. The material is sturdy and the fasteners close firmly. Easy to carry to grammas or sleepovers.